Katherine Becker, 2017 graduate, was offered an English Teaching Assistantship in Mexico. She participated in DukeEngage-New York City, was a RIPP/Engage Fellow and served as a DukeEngage Academy Leader (DEAL). Taela Dudley, 2017 graduate, was offered an English Teaching Assistantship in Senegal. Teala participated in DukeEngage-Zhuhai, China. Vivian Hao, 2017 graduate, was offered an English Teaching Assistantship in South Korea. Vivian participated in DukeEngage-South Korea. McCall Wells, 2017 graduate, was offered an English Teaching Assistantship in Spain. She participated in DukeEngage-Miami, was a RIPP/Engage Fellow and served as a DEAL and a DukeEngage student leader (guiDE). Grant O’Brien, 2017 graduate, was offered an English Teaching Assistantship in Colombia. Grant pursued an independent project with DukeEngage in North Carolina. 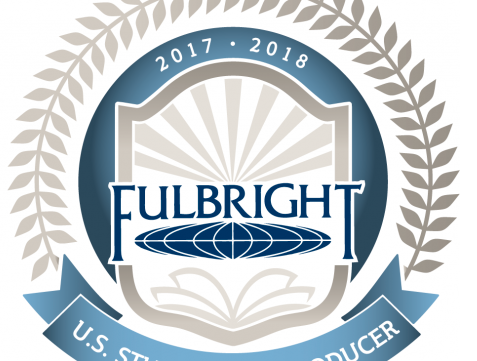 Read the full article and view the list of 12 Fulbright Scholars at Duke this year.